Fifteen years after the indictment of Milosevic, the time is now right for Serbia to move forward and for the EU to use the possibility of membership to ensure justice is served. 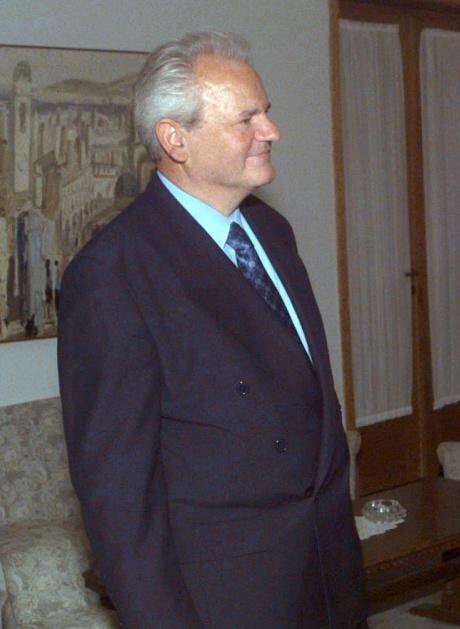 This May marked the 15th anniversary of the indictment of former Yugoslav President Slobodan Milosevic – the first war crimes indictment of a sitting head of state in history. In a sense, it also marks fifteen years since Serbia has been on the clock to account for war crimes committed during a decade of conflict that killed more than 130,000 civilians and displaced more than four million others. Fifteen years later, one lingering question remains. Will victims, their families, and the international community forgive if Serbia’s government chooses to forget? The UN’s International Criminal Tribunal for the former Yugoslavia (ICTY) is expected to complete its last trials by the end of the year. It was always meant to try just a few of the highest-level perpetrators and was never meant to usurp Serbia’s primary responsibility to investigate, arrest, and prosecute war criminals on its own. But as the Humanitarian Law Center in Belgrade, Human Rights Watch, and the European Commission have all concluded, when it comes to its accounting for the war crimes of the 1990’s, Serbia can’t (or won’t) prosecute anyone of consequence. Take for example the February 2014 conviction of nine members of a Serbian army-backed group called the Jackals, led by the notorious Nebojsa Minic. If you don’t know Minic, maybe all you need to know is the word that he very proudly tattooed on the inside of his lip and on his chest that described the fate of most ethnic Albanians that crossed his path – “Dead” (“Mrtvi” in Serbian). The nine Jackals he led were convicted of killing at least 120 civilians in four Kosovo villages: Cuska, Pavlan, Zahac and Ljubenic. In each village, they had a familiar routine: separate the men from the women; steal the wealth; confiscate all identity documents; expel the women and old; and massacre and burn the men. Minic died in 2005 and the convictions of his cohorts were both warranted and welcome. But what of the commanders who authorized and supplied the Jackals? What has been done to bring to justice those who ordered, commanded, and knowingly allowed the systemic cleansing of ethnic Albanians throughout Kosovo? Much evidence and testimony suggests that the Jackals were supplied, financed, and ordered by the 125th Motorized Brigade of the Yugoslav Army. The commander of the brigade - Dragan Zivanovic, and its chief of staff Đorde Nikolic - however, are free. In their zone of responsibility,1,813 civilians were murdered during the Kosovo war. Maybe an even clearer example is that of Goran “Guri” Radosavljevic. During the Kosovo war, Guri was a Lieutenant Colonel in the army’s Pristina headquarters and a commander of an elite division of the police that specialized in “guerilla” combat. He was in operational command of the Racak massacre that precipitated in NATO’s bombing campaign and in charge of units implicated in the Cuska massacre and other notable actions against predominantly Albanian villages. Radosavljevic was also in command of a police facility where three American citizens – Ylli, Mehmet, and Agron Bytyqi – were kidnapped, executed, and dumped into a mass grave. Yet fifteen years later, Guri – which means “Rock” in Albanian – hasn’t been touched. Far from it, he is now on the executive committee of the Serbian Progressive Party (SNS) that now claims both the presidency and the government. Now is a unique moment for Serbia to break with its Milosevic-tainted past. The newly-elected SNS-led government is currently negotiating accession to the European Union. It is both an opportunity and a test for Prime Minister Aleksandar Vucic and President Tomislav Nikolic. The EU process can help hold their feet to the fire--one prominent example from the Bosnia war shows how. It was many years before the threat of prosecution felt real to Ratko Mladic for the crimes that won him the title of “the Butcher of Bosnia.” In the interim, various elements within Serbia’s army and security services provided him with such luxuries as a chauffeur, a cook, and a personal waiter. More than that, they provided him with protection. It was only persistent international pressure and the threat of suspension from EU accession processes that changed this calculus for then-President Boris Tadic. Faced with a relatively blunt choice of the EU or Mladic, Tadic chose the EU. The same can happen for Serbia’s remaining war criminals. Serbian prosecutors and judges have detailed how protection, intimidation, and tampering by security personnel have derailed their efforts to try a number of suspected war criminals. First the EU must help Serbia recover from the devastating floods that have afflicted the region. Then, the EU should focus on demanding structural and attitudinal changes to end war crimes impunity for those at the top. Structural reforms should aim to ensure that more than just a few sheep are culled to preserve the herd. EU negotiators should also ensure that Prime Minister Vucic’s new government is willing to assert its authority to make such reforms long-lasting. The time is now ripe - for victims and for the new government.